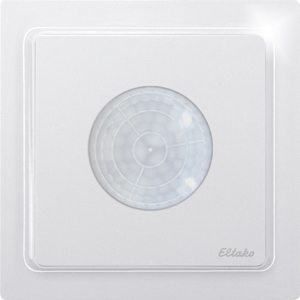 Wireless motion sensor TF-BSBpure white glossy for surface mounting 84x84x27mm or mounting into the E-design switching system. With battery (lifetime 3 years). Smart Home Sensor.